Goldenseal grows in eastern North America. The First Nations people taught the European settles the medicinal benefits of goldenseal. The rhizome is rich in isoquinoline alkaloids (hydrastine, berberine) that function as broad-acting antimicrobials and other phytochemicals that work synergistically to decrease drug resistance. Research supports it possess antibacterial, antiviral, antifungal and antiparasitic activity. The tannin content of the root imparts a mild astringency. Early herbalists call it the “King of the Mucous Membranes” because it benefits inflammation and infections of the gastrointestinal, urinary and respiratory. The bitter alkaloids increase the secretions of the digestive tract and bile flow to improve appetite, relieve indigestion and promote bowel movements. At higher doses, it exerts antimotility effects making it a useful remedy for diarrhea and colitis. 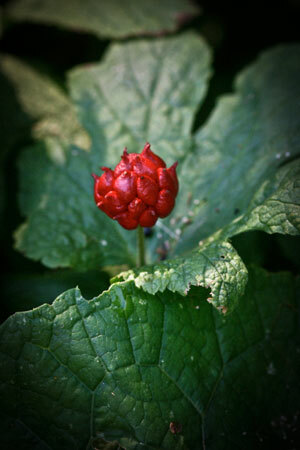 Also, goldenseal treats sinusitis, tonsillitis and other respiratory infections. Before the advent of antibiotics, it was an essential treatment for sexually transmitted infections, like gonorrhea and chlamydia, and other afflictions of the genital-urinal system.